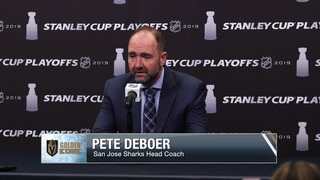 Pete DeBoer believes the teams could see each other again in the playoffs after facing off twice in the final three weeks of the regular season, starting with Monday night’s game in San Jose. 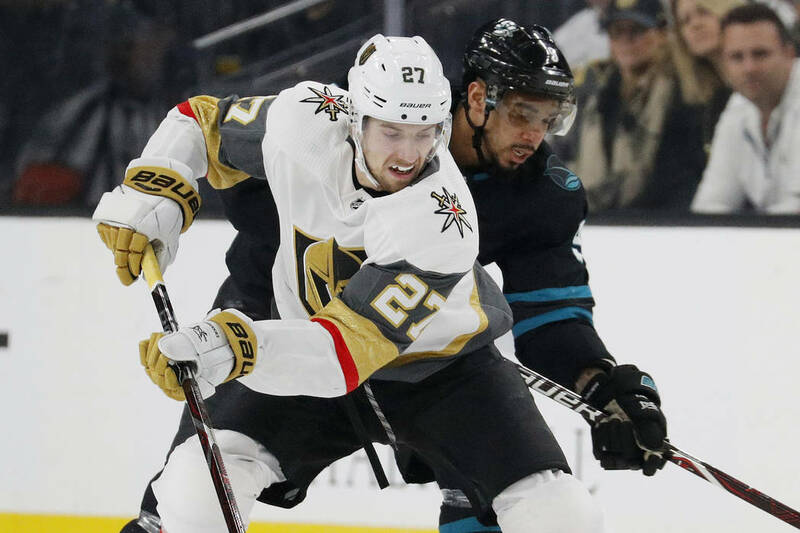 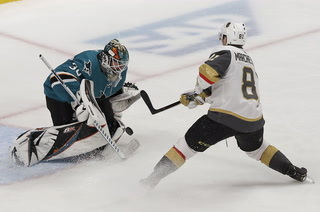 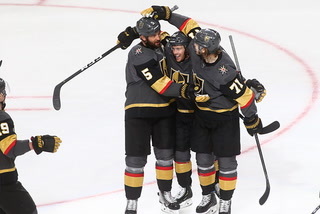 SAN JOSE, Calif. — Sharks coach Pete DeBoer understood Monday night’s game against the Golden Knights was just the first of two matchups between the Pacific Division rivals at SAP Center over the last three weeks of the season. 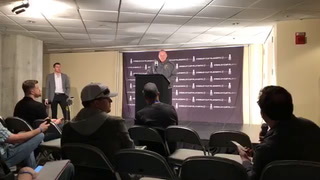 He’s also well aware a playoff rematch could be on the horizon. 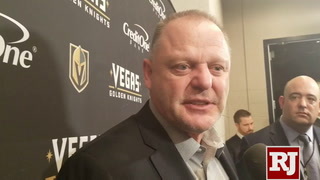 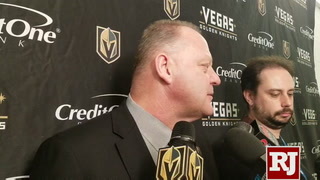 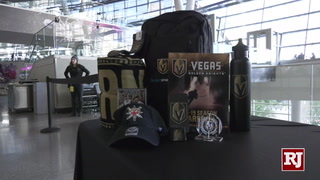 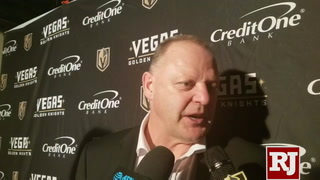 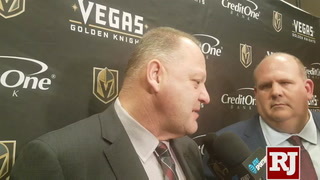 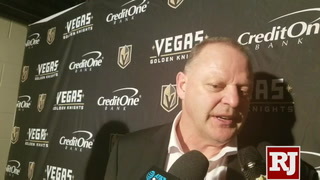 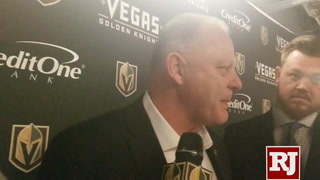 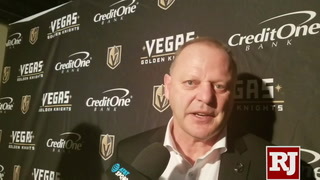 DeBoer said he believes the Sharks and Knights are still two of the top teams in the league and could meet even if it’s not in the first round, just like last season when Vegas won a second-round series 4-2. 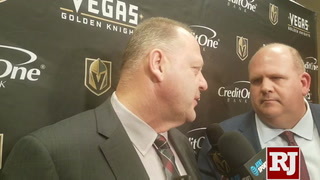 “I don’t think a lot has changed,” DeBoer said before the game. 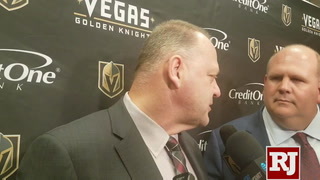 “I think they’re an elite team and I think we’re in that category, too. 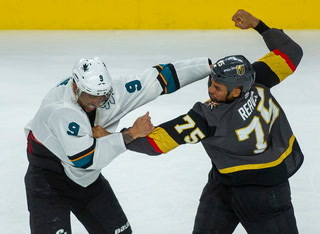 Even last year, we were pretty evenly matched. 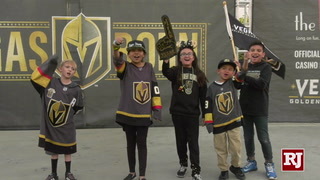 They played just a bit better and found a way to win, but we were right there. 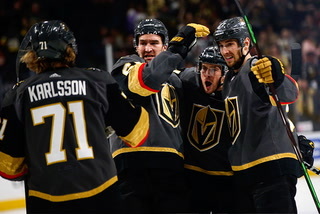 I think we’re deeper and I think we’re a better team than we were a year ago. 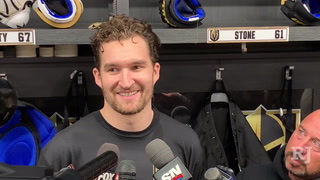 That has especially been the case since the Knights acquired forward Mark Stone at the trade deadline. 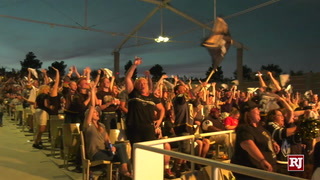 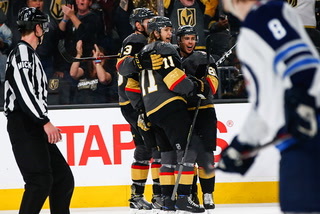 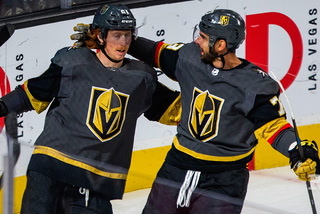 The Knights entered Monday’s game having won eight of their last nine games. 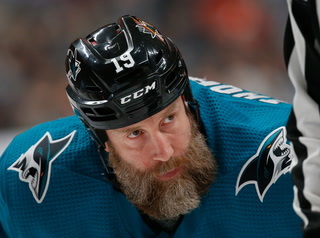 “Amazing how that works when you add one of the best players in the league,” DeBoer laughed. 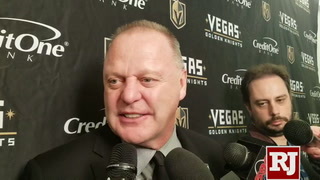 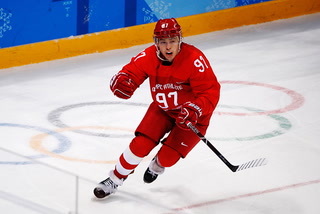 “He’s a fantastic hockey player, plays an honest game both ways and makes other people better. 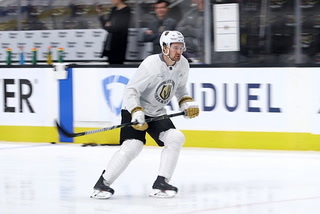 He’s one of those guys that has that ability when you put him on a line to make the other players better. 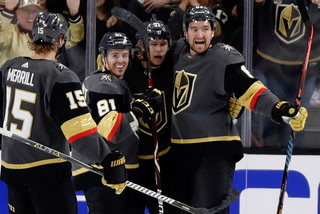 They’re a great hockey team. 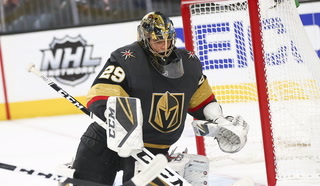 Fleury is starting to play very well. 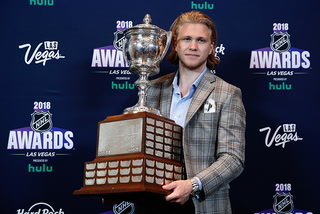 He has the entire time he’s been there, but it looks like he’s ramping his game up to another level, which, for me, he was the key last year. 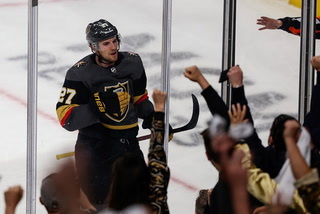 I thought he was their best player almost every night. 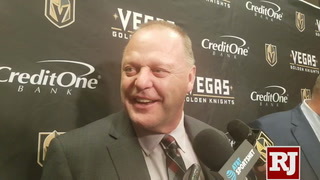 The Sharks fourth-year coach admitted he welcomed the scheduling quirk as an opportunity to scout the Knights in case the playoff matchup materializes. 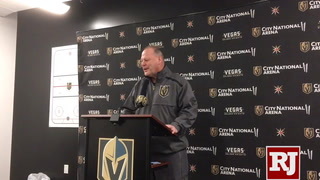 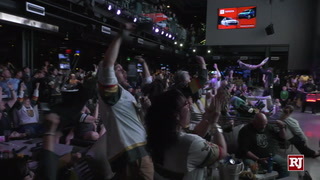 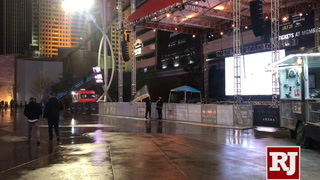 San Jose had only played the Knights twice before Monday, both in Las Vegas, and not since Jan. 10. 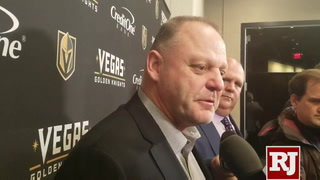 “I think we’re going to take kind of a wait and see approach. 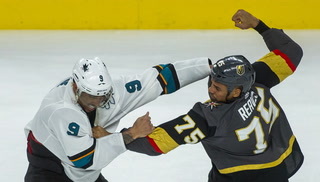 I want to see how they look live, not just on tape and go from there,” DeBoer said. 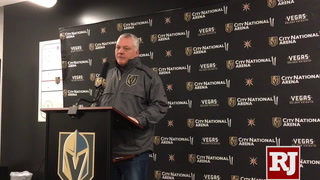 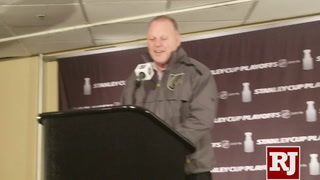 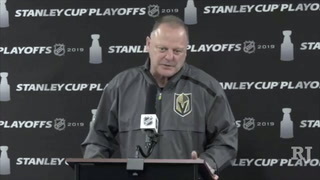 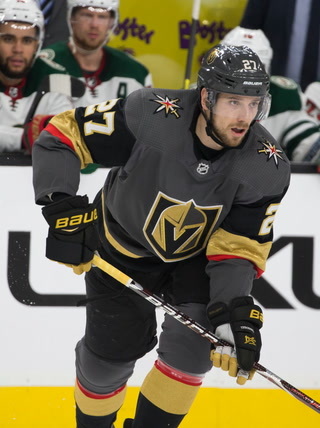 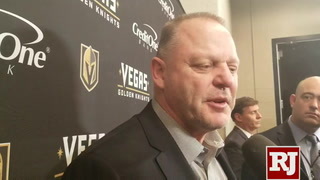 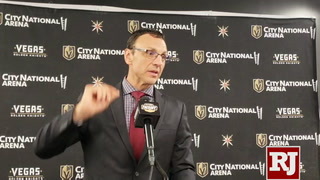 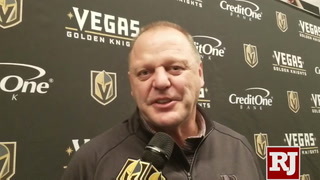 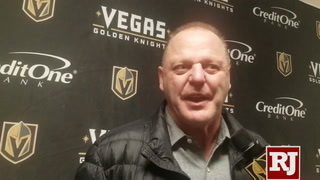 “I don’t think you ever wish to play Vegas, but I’m glad we’re getting to see them after the trade deadline with all their guys in place so I can see live what it looks like and feels like because it’s not like watching tape. 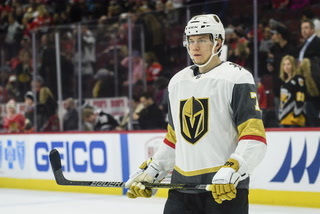 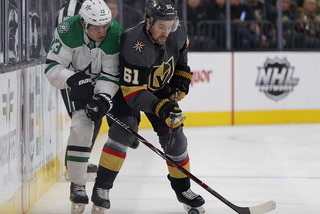 Knights prospect Cody Glass has been rehabbing an injury in Las Vegas under the watchful eye of the NHL training staff, a spokesperson from his WHL club in Portland said this week. 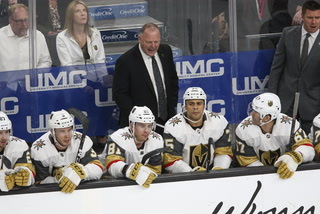 Glass is expected to rejoin the team before the postseason begins on Friday. 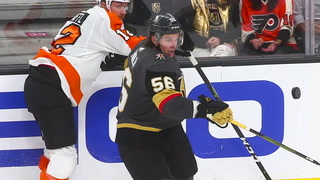 No details on the injury were provided. 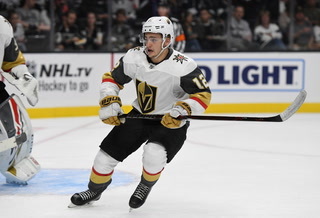 The 19-year-old has 15 goals and 54 assists in 38 games this season. 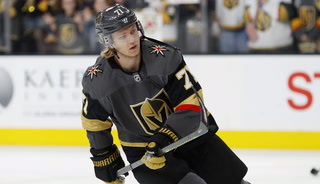 Defenseman Nick Holden was back in the lineup on Monday night in place of Jon Merrill. 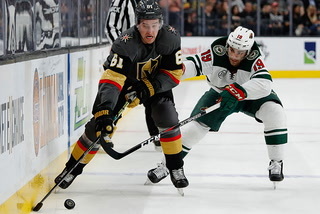 Holden had been sidelined for a month before returning to play on Feb. 20 and 22, but had been a healthy scratch for the past nine games. 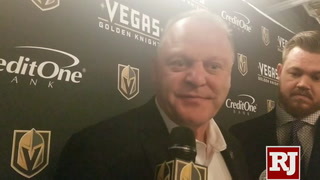 The Knights won eight of them.